WALK TO UF, SORORITY ROW, SHANDS HOSPITAL, & THE VET SCHOOL! This TOP FLOOR 2 bedroom/2 bathroom condo comes with TWO ASSIGNED PARKING SPACES! The spacious floor plan features a combined living/dining room that connects to an open and upgraded kitchen. 2 large bedrooms each have their own bathroom and two large closets. This unit also comes with an storage room on the ground floor of the building. Condo is located in a secured-entry building in which a security code or electronic key is needed for access. Rare condo walking distance to UF that comes with 2 assigned parking spaces! 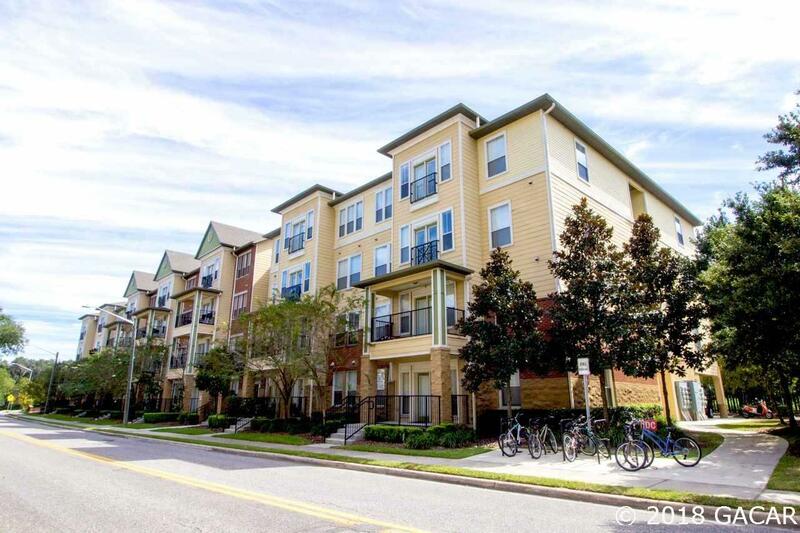 WALK TO UF, SHANDS, VET SCHOOL & SORORITY ROW! © 2019 Gainesville MLS, Inc. All Rights Reserved. Information deemed reliable but not guaranteed.The Broker Reciprocity logo designates real estate listings held by a brokerage firm other than OurTown Group. IDX information is provided exclusively for consumers' personal, non-commercial use and may not be used for any purpose other than to identify prospective properties consumers may be interested in purchasing. Data last updated: 2019-04-19T00:07:03.577.